If I were to stick my neck out, I'd say the Lambeth Country Show is probably London's best annual event. It's fun. It's free. It's huge. It's diverse. It has sheep. It has comedy vegetables. 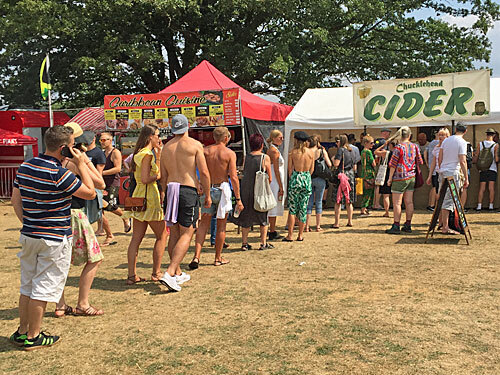 It has queues for cider. It retains a focus on all things community-minded. 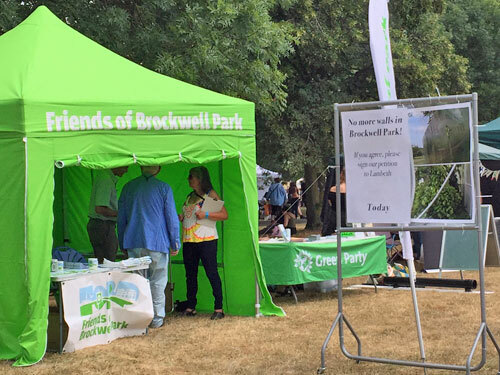 It's held on the glorious slopes of Brockwell Park. And it's been brightening the summer since 1974. But this year the magic threatened to go badly wrong. On police advice, Lambeth Council erected a giant wall around the showground, rather than allowing free flow onto the site. They insisted on security checks on the way in, and banned unsealed drinks and alcohol... which they were quite happy to flog inside. They specified terms and conditions of entry online, and instructed visitors to check the webpage regularly for any changes made. And they pissed off a lot of the surrounding community in the process, with many saying they'd never visit again. So how was it? To cross from the market by the station to the gates of Brockwell Park required crossing two, maybe three slices of road at a particularly busy junction. No attempt whatsoever had been made to halt the traffic, or even adapt the traffic light sequence in pedestrians' favour. Instead frazzled event staff stood beneath each set of lights with strips of red tape, which they furled or unfurled according to whether the public were allowed through or not. Green man... tape removed... crowd starts to pour across... count up to five... shout... replace tape... oi, wait there please. Worse, the traffic island in the centre had to empty before we could be allowed across, and that light changed less frequently, so we could only make progress every other time our lights turned green. Meanwhile barriers stopped people crossing elsewhere, not that this stopped the persistent, and by the time I finally made it into the park I was feeling somewhat subjugated. I've been in far far worse queuing slaloms, but equally I've never found getting into Brockwell Park more of a chore. They must have been expecting Armageddon-level queueing. 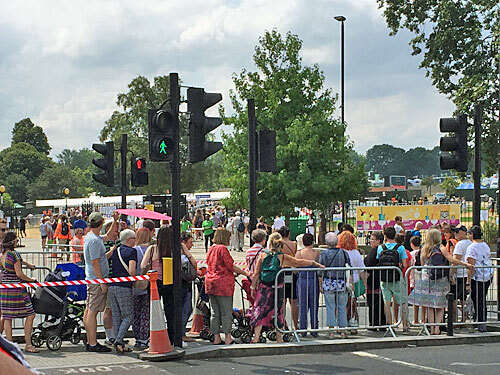 Here at the Herne Hill entrance thirty-two separate lanes corralled visitors towards the security line, which was located some considerable distance ahead. Nobody official had attempted to wave us in the most appropriate direction, so I plumped wrongly and ended up in lane 18, whereas 19 had barely a queue at all. A small bored child bawled in frustration as the sun beat down. Eventually we nudged forward under the awning where a yellowshirt checked our bags for contraband, like narcotics, gazebos or Ribena. Most visitors had bags, but I didn't, so it turned out I'd been waiting unnecessarily. Three lanes then funnelled towards a single blueshirt with a baton, which he waved around certain visitors whilst waving others through. I got a cursory groin check, after which the merry man mountain hummed a little fanfare, presumably because I was terrorism-free. Arriving at the very start of the afternoon had been no fun. But before very long the lines dissipated and fresh arrivals sailed up to the bag-check without delay, so the main sticking point remained the wall itself, not passing through it. The acreage occupied by the Country Show is smaller than before, but still vast. 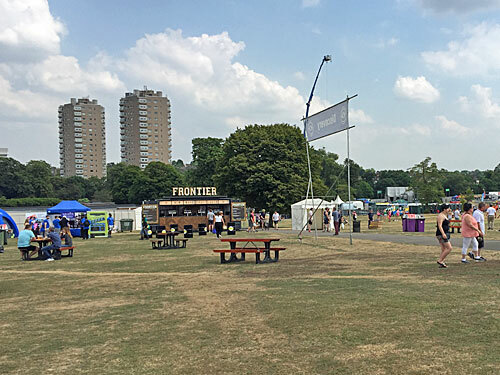 The area which used to host the main stage is now outside the wall, so that's had to be relocated to where the funfair used to be, so there's no longer a funfair (for adults) on site. The Farm has been shunted a lot further downhill, the Flower Show feels penned in below the main house, and the Village Green is much too easily overlooked. But there's still a long way to wander, and many a loop to explore, and in the middle of the site you'd never realise anything had changed... except perhaps from the size of the crowds. I'm a regular visitor, and was expecting the park to be busier, and wondered at first if it was just too early in the afternoon. But crowd density never quite picked up later, not to usual strength, and I'm uncertain how much of that was due to the Wall Effect. Avenues of food stalls serve up fare from many a world cuisine, although in weather like this the drinks vendors are doing a more roaring trade. But it's the community stalls which make the event, arrayed all over the site with their messages of hope, heed and heritage. Anything local you might want to join is here, from the Socialist Workers Party to a Spanish-speaking Baptist church, even a selection of proper scientific societies. Volunteers try all sorts of things to make you visit their tent, be that dishing out free condoms, loud music, a large jar of sweets or haranguing you by the bowling green. And you might leave with a fresh interest in cycling, a stem cell donor appointment or a teasmade from the HIV charity tombola, or just sunburn and a heavy stomach. While you can buy gassy beer and lager in cans on site, the unofficial king of drinks at the LCS is cider. Specifically it's Chucklehead, an apple brew from a farm near Tiverton, shipped up from Devon to Lambeth in copious quantities. 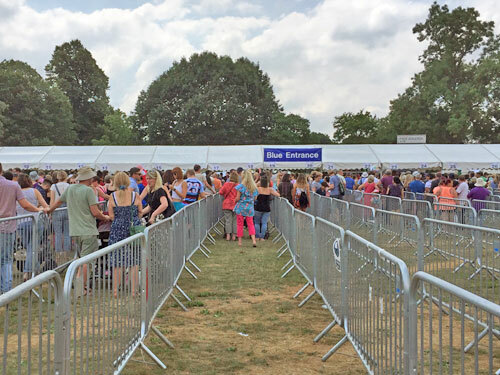 The queues start short, but inexorably lengthen during the afternoon until they reach obscene proportions, such is the showgoers' need. Wiser souls buy in bulk, wandering round with a one litre bottle dangling from their hand or even the full earthenware jug for £21. Or perhaps wiser souls leave well alone, because Chucklehead is 7% proof and overquaffing can lead to insensibility. Nothing quite says Country Show like overdosing on scrumpy in an inner city park. And nothing quite says Country Show like pens of well-groomed animals primed for display. 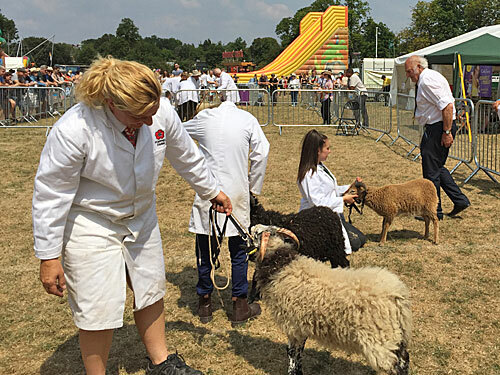 Vauxhall City Farm are amongst those who bring their livestock down, partly for mass petting purposes, but also for the serious business of judging best in breed. Other city farms like Mudchute turn up too, plus more far flung centres for rare breeds, to provide a broader cross section to exhibit and engender better competition. I stood at the ringside to watch the primitives on parade, the judge taking his time to eye up the trio on display, and stroke their coats, and press their haunches, and observe their gait, and step back and ruminate, and eventually advance towards the winning beast bearing a red rosette, while a colleague delivered a droll and informative commentary. Not everyone enjoyed the slow pace, but I'd far rather attend a ram lamb trial than fork out for some bespoke ticketed kebab experience. 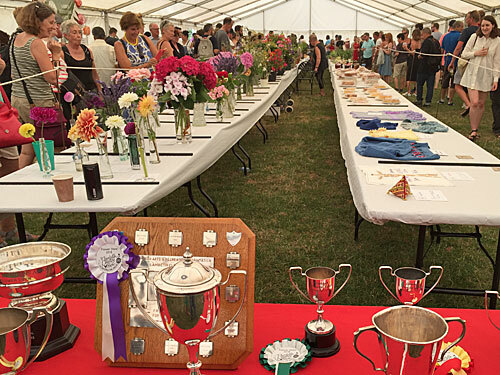 But for the quintessential Country Show experience you have to visit the Flower Show tent. Within its sultry confines, on trestle tables laid out with handwritten cards, the good people of Lambeth submit their exhibits in a variety of horticultural and craft classes. One dahlia. Five onions. Group of succulents. Victoria sponge sandwich. It's just like a flower show in any provincial village, apart from Class 68 - a vegetable character - where the local populace goes totally over the top. 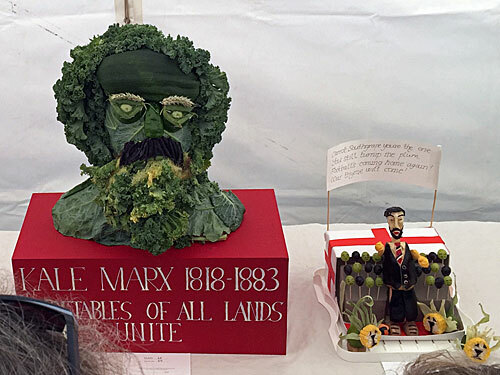 A queue had built up outside the tent by 2pm, when judging finally finished, so keen were people to discover the plant-based puns on the farthest table. Donald Trump variants proved popular, for example in gourd-haired pumpkin format, and two different contributors had gone about creating Carrot Southgate. 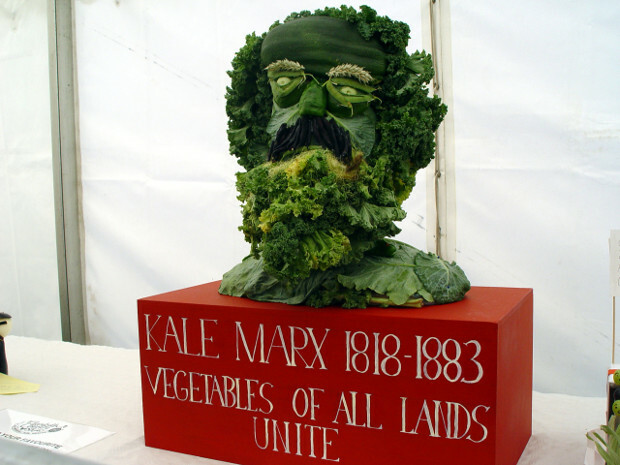 But the general consensus, confirmed by the largest concentration of poised smartphones, seemed to be that a very green, very bushy Kale Marx had stolen the show. They haven't wrecked the Show yet. But it's not quite what it was.